These days purchasing a life insurance policy isn’t just an optional method of securing your family’s future but it has become a necessity. When choosing a policy, you have options of picking between a term insurance plan and an endowment plan. In an endowment plan you’re guaranteed a payout called as ‘sum assured’ which the nominee shall receive in the event of an unfortunate event of the insured person’s death. However, if you survive the policy term you still receive a lump sum payout consisting of sum assured plus accumulated bonus. In a term insurance, on the other hand, there is no payout if the insured person survives the whole term. Instead, there is a proportionately very high payout in the event of death. This higher payout against a very small premium. This premium can be paid annually, half-yearly, quarterly or monthly. A term insurance is particularly helpful when your main purpose is to secure the future of your family. Different banks and financial institutions offer different kinds of term insurance plans with varying price, thus it becomes important to study each plan and choose one that suits your needs the best. First of all, know what your true objective behind the purchase of the term insurance plan is. If you want you can write them down to help you with the decision. You must be completely aware that term insurance doesn’t pay any lumpsum at the end of a term in case you survive it. Any kind of investment is dependent on the tenure. In case of term insurance as well same applies. The longer is the tenure of the policy and the younger you’re while purchasing the policy, the lesser premium you’re required to pay. You should consider a sufficient tenure to allow the best cover for your family which is dependent on you. You must remember that term insurance is an effective way to combat the financial crisis in case of a misfortune, allowing your family to sustain itself afterwards. Now, it’s obvious that a life is priceless and cannot be counted against money. 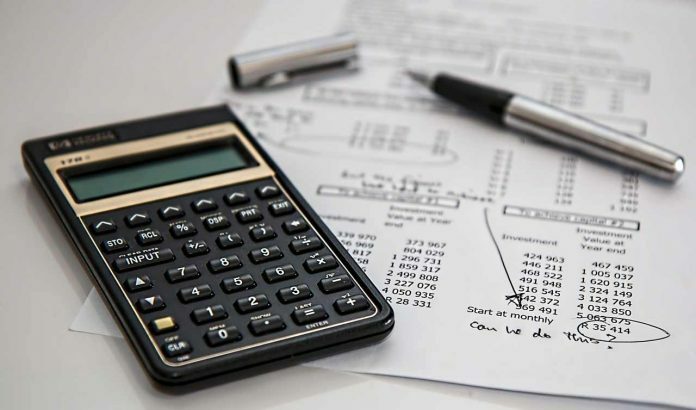 However, what we’re trying to say is that you must evaluate your financial worth, taking into considerations your current income, and future income and assets in the coming years as well as liabilities. Because your lifestyle and expenditures are directly proportional to what you earn, it becomes important to understand your financial value in terms of money so that you can plan your term insurance accordingly and allow your family to be able to live with the same lifestyle as it would have been otherwise. As there are many players in the market, there are different plans with different pricing. It’s important for you to consider both the cost as well as the terms of the policy before settling for a policy that suits your needs. You should also consider a few factors which may influence the pricing of the policy you may choose. For example, a non-smoker is offered a lower premium than a smoker for a simple fact that the smoker is at a higher risk of death. You must purchase your policy as early as possible because with increasing age risk factors increase thus raising the cost as well. Claim settlement ratio is the proportion of the number of claims which are honoured against the number of claims made. So, a low ratio means that higher number of claims were rejected by the company. Therefore, it becomes mandatory to watch out for a company with lower ratio as that could mean trouble. Also referred to as ‘riders’, some insurance plans let you attach addons to your base policy. These riders are helpful in availing additional benefits at a lesser cost with minimal hassle. Additional riders can be anything like a critical illness plan, or a disability cover. One major benefit of this is that you don’t have to separately purchase and manage these plans. So, it’s better to go for a company/insurance plan which allows you additional riders. In our fast life, it may not be possible to go to each bank individually to compare the plans, and then again to purchase one. Most insurers now allow you to compare these plans online on their website or there are also various websites which let you compare all plans from different insurers in one place. Once you’ve settled with the decision of the plan you want to buy, you can directly purchase the plan online. Purchasing a term insurance plan is a big decision which is going to greatly impact your finance in the event of an unforeseen mishap. Thus, before purchasing a plan make sure it covers all your needs in the best possible manner. Consider the purpose, cost, timeframe, additional benefits, hidden terms and claim settlement ratio before you’ve reached your final decision. How To efficiently Manage Debt as a Single Parent?